I am pleased to share the news that the UK Good Laboratory Practice Monitoring Authority's (UK GLPMA) guidance on the implementation and maintenance of a risk-based GLP quality assurance (QA) programme has been published. The GLPMA have for some time recognised there was a need to provide guidance to GLP facilities that would allow them to utilise modern quality risk assessment techniques in support of the conduct of GLP studies. This has become particularly apparent for those facilities engaged in activities that require compliance with other quality systems in addition to GLP, such as GMP and GCP. Having a risk-based GLP QA programme should offer facilities the flexibility to focus their resources in areas that present the biggest risk to their compliance status. During the last 13 years of inspecting I have been asked on many occasions how much is enough when it comes to QA. The answer to this question is not necessarily about the number of QA inspections conducted, it is about whether they add value in terms of assuring compliance. Also, are the inspections effective at identifying problems before they have a serious impact on the integrity of the data, compliance of the study or the facility as a whole? What’s right for one facility may not be right for another. The size of the facility, number of staff, amount of GLP work and the other quality systems in place are key factors in determining how much is enough. For example, the procedures for handling and dealing with deviations, amendments, errors, change etc. These systems can generate a lot of data - what does it tell you and how is it used? The challenge of course is to make sense of the data you have and turn it into meaningful information in order that you can make decisions as to how much QA is enough. Ultimately, the answer is to understand your processes and know where the risks are, then design your QA programme accordingly. The UK GLPMA in consultation with UK stakeholders have produced a guidance document that is designed to support GLP facilities to devise and develop their QA programmes to best suit their individual business needs, while retaining the highest possible standards of GLP compliance specific to their GLP activities. The document provides updated definitions of study, process and facility inspections. It also includes the concept of risk management and quality control in a GLP setting. Although there is no mandatory requirement or expectation that all facilities adopt this approach, we would hope that key aspects of the guidance will prove useful to a facility in improving their current QA programme, and ensuring that inspections and associated activities are appropriate to each facility and add value rather than being just a box ticking exercise. Risk management is about identifying what the risks to compliance are and having an understanding of the impact of the risk. This initial review should be followed by an assessment of procedures, processes and systems to control, monitor and mitigate the risk. It is important that the risks are reviewed periodically and if appropriate mitigation systems are revised. The effectiveness of a risk management process is dependent on the quality of information fed into the risk assessment process which in turn is reliant on the robustness of the quality system in place. A robust quality system is one where there are systems and procedures for dealing with issues in a proactive and consistent manner, where a holistic view is taken for errors, deviations, inspection and audit findings. Such systems should provide a better understanding of the information and data being collected. For example, a system where all corrective and preventative actions are collated in one place irrespective of how and where they originated and then reviewed periodically and collectively at a test facility management meeting. This will provide feedback on the effectiveness of the risk mitigation strategy and should be used during the risk assessment review part of the risk management lifecycle. Coming from a good manufacturing practice (GMP) background I’ve often wondered why quality control wasn’t included in the GLP principles. QC activities that are built into a process or way of working make sense, save time and add value. This is because issues and problems are identified at the earliest opportunity and is the reason why most GLP facilities include QC systems. The guidance document acknowledges that proportionate quality control checks are something that when included in a quality system can be a very effective risk reduction measure. For as long as I have been part of the GLPMA there have always been plenty of opinions and discussion as to what constitutes a study-based, a-process based and a facility-based inspection and what is a critical phase? “The Principles” only state that quality assurance inspections can be of 3 types: study-based, facility based and process based - over the years this lack of detail has caused confusion and in some cases led to compliance issues. Well, the good news is one of the primary aims of the guidance document was to tackle this issue, therefore an early challenge was to determine useful definitions of these inspection types and put them into context. In order to do this the GLPMA invited a number of industry representatives to discuss the issue. This led to a very useful and open exchange of information which has allowed us to draft new and hopefully more meaningful and detailed definitions. I am very pleased with the outcome of the work we have performed with some of our key stakeholders which has allowed us to offer guidance to UK GLP facilities on how to operate an effective risk-based inspection programme. We anticipate that this guidance will be a welcome development and empower facilities to take control of their QA programme in a manner that suits their specific business needs whilst maintaining the highest standards of compliance. Given that the revised ISO 9001 publication is scheduled for September 2015 , in terms of Quality Assurance, 2015 can be characterised as the "year of Risk Assessment". It would be nice to see a more risk focused approach in the next versions of EU-GMP/GLP guidelines. And why not, even GDP. 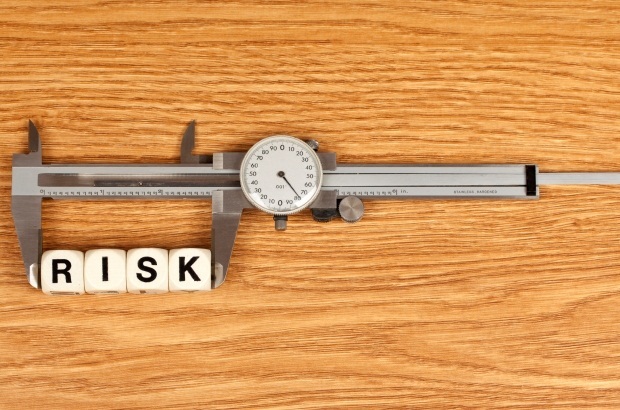 GMP and GDP regulations and guidelines already reflect the principles of Quality Risk Management as detailed in ICH Q9.